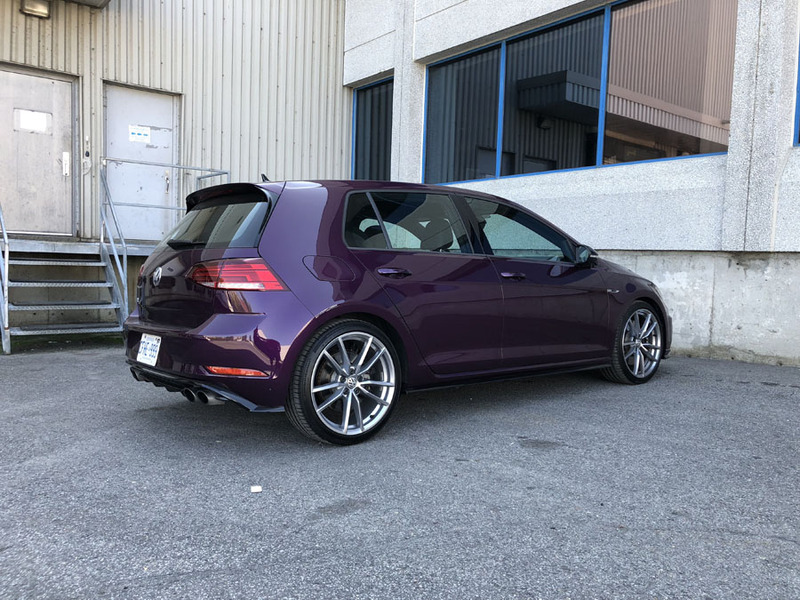 The new A Class is an excellent product. 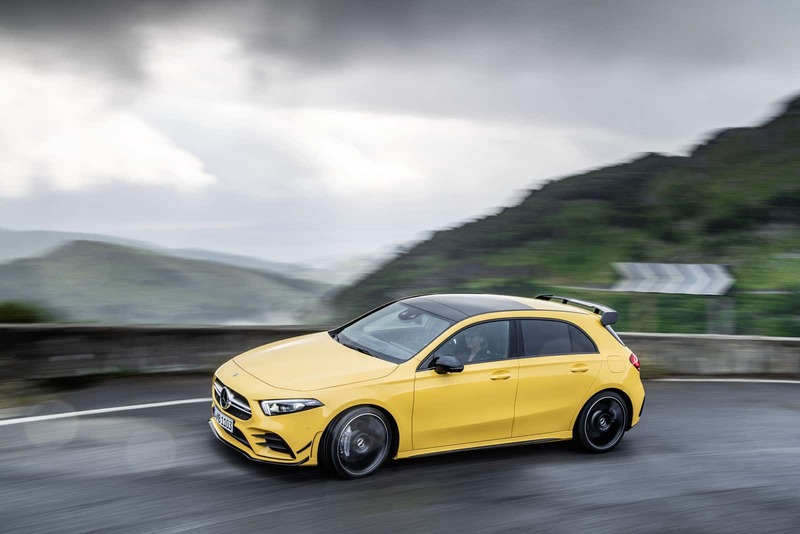 The Mercedes-AMG A 35 is the pumped version, much like the Volkswagen Golf R to the Golf. Let’s compare specs to see which is more exciting on paper. This comparison is only step next in what will begin happening once we get our hands on the all-new 2019 Mercedes-Benz A Class. 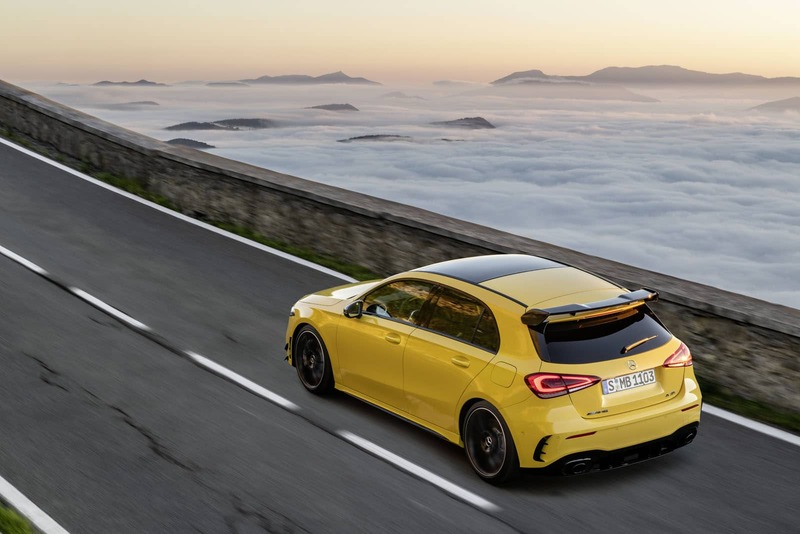 And Benz knows how good their car is and to maintain momentum, they’ve just announced that the hot Mercedes-AMG A 35 is officially coming to Canada. 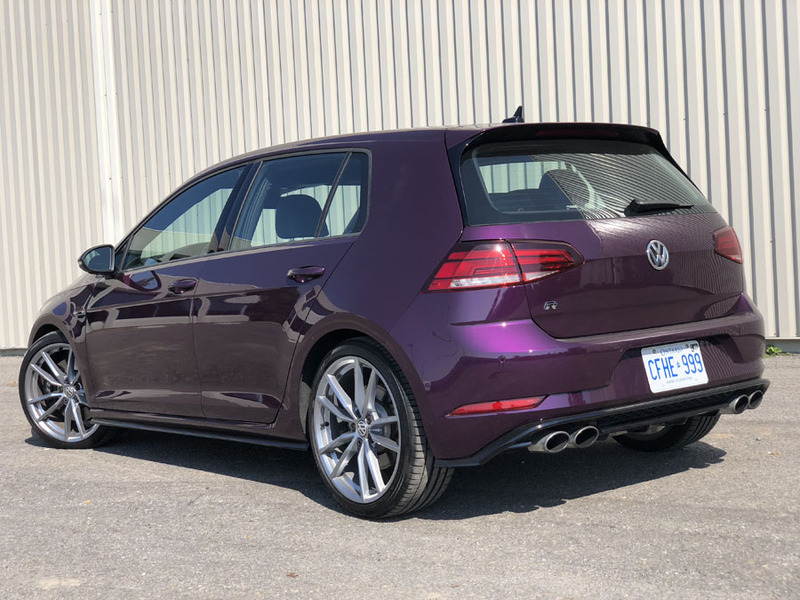 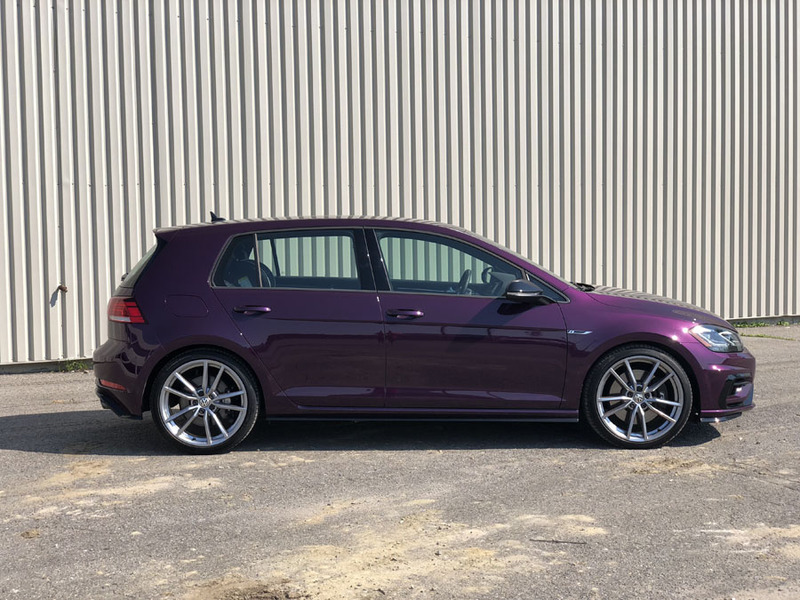 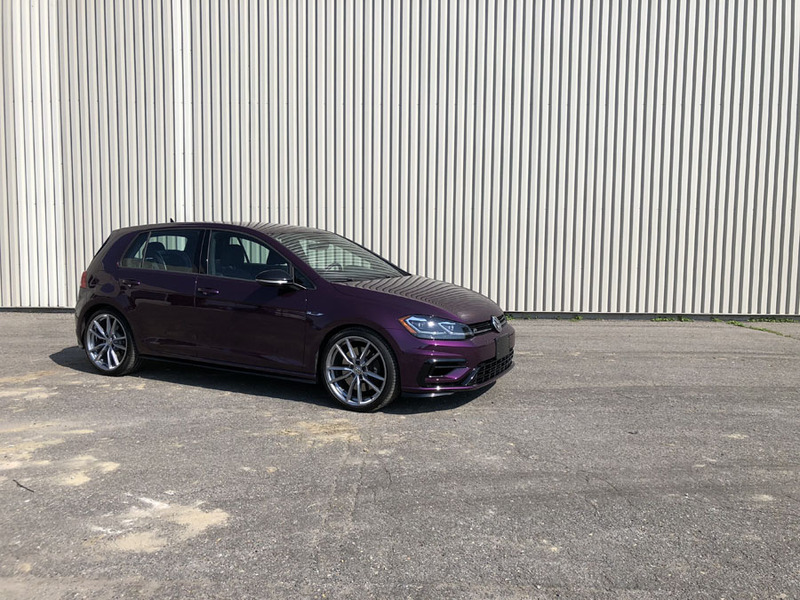 Before we even get to drive it, we are comparing to numerous like-minded cars, none more deserving in my opinion than the superb 2019 Volkswagen Golf R.
We love hatchbacks, anything with a hatch in fact. And one of our favorites happens to be the Volkswagen Golf R which will be a contender on just about every level. 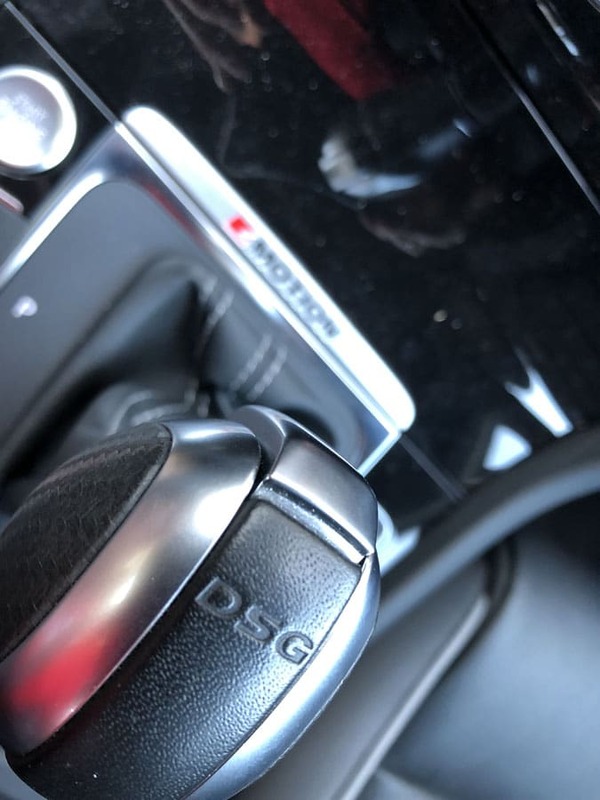 Let’s dig into the details and see what we come up with. 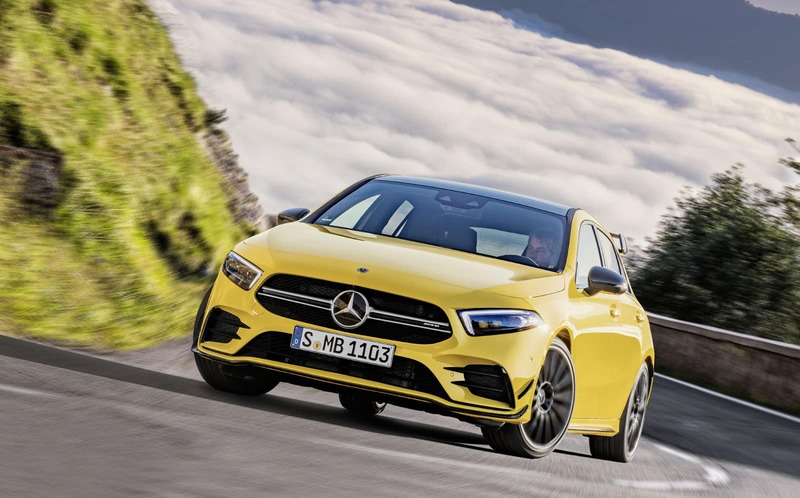 Mercedes-Benz Canada has yet to announce the pricing for either the Mercedes-AMG A 35 sedan or hatchback. We will take the time to speculate, if you don’t mind. 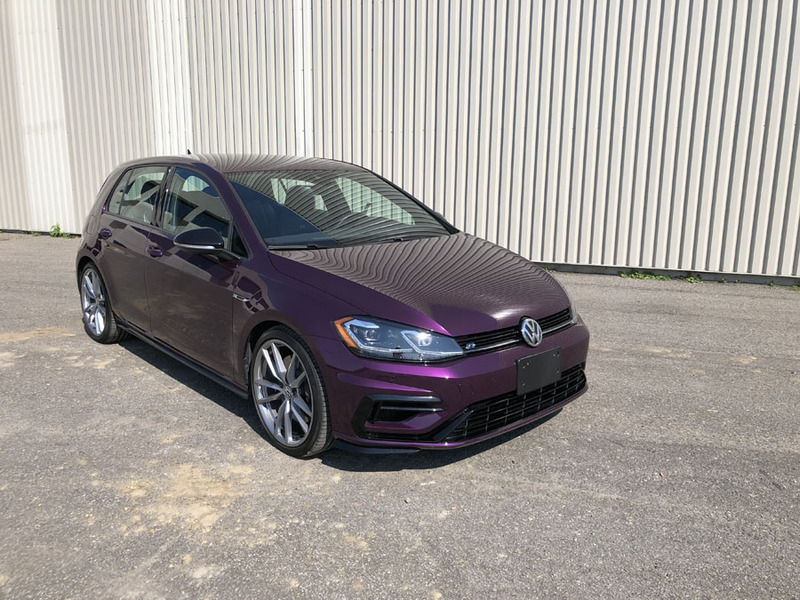 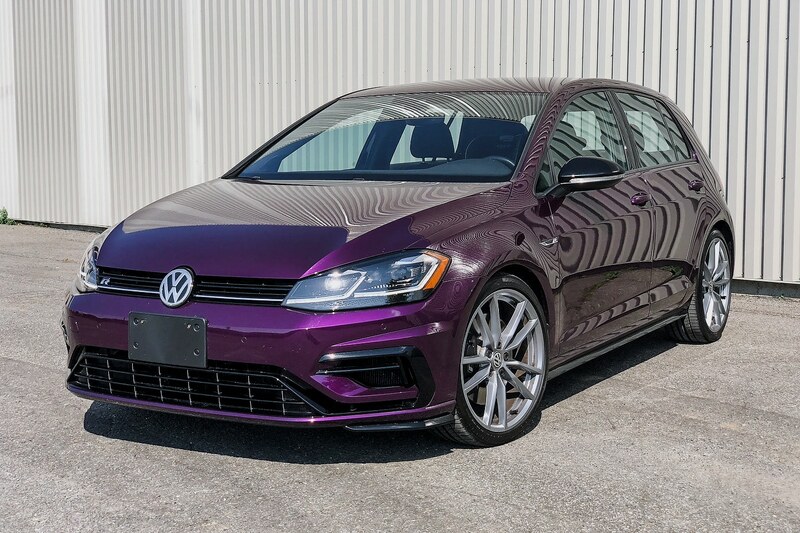 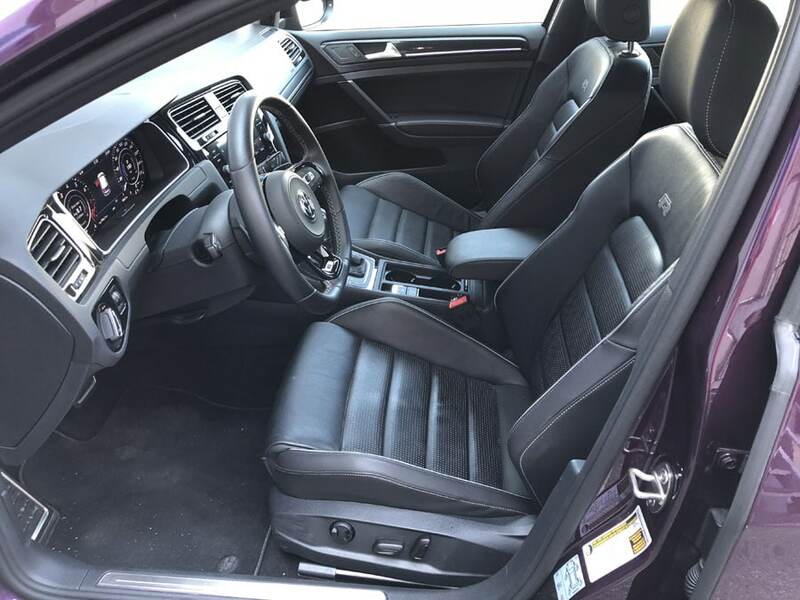 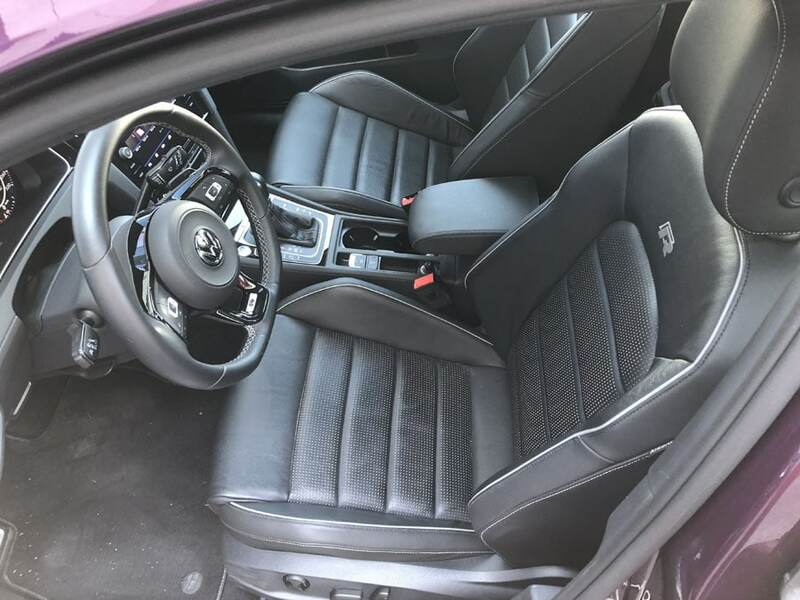 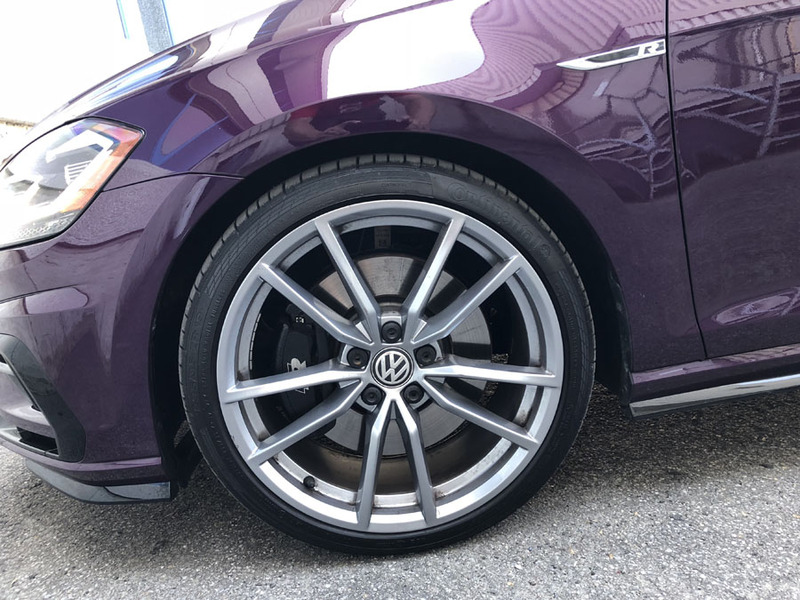 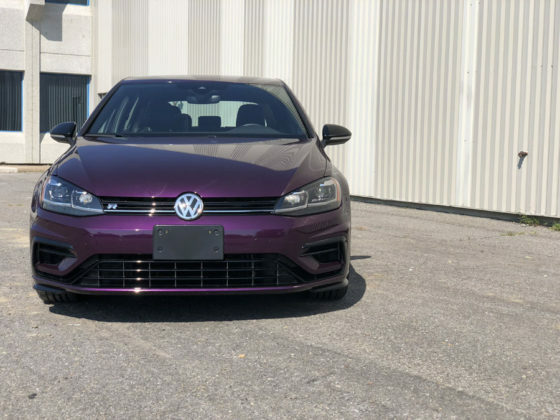 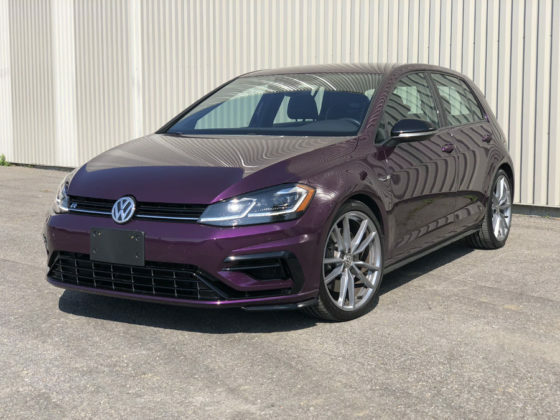 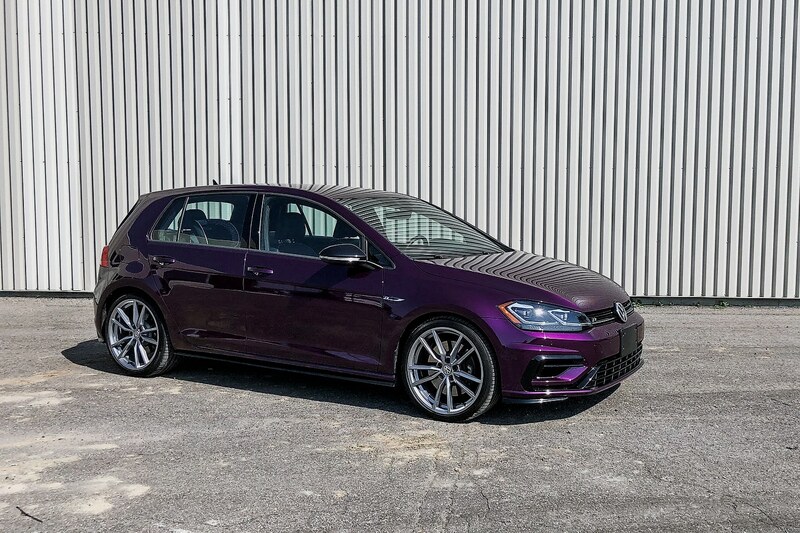 The 2019 Volkswagen Golf R, with the 6-speed manual, retails for $42,495. 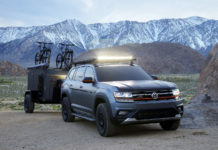 The quicker 7-speed DSG version goes for $43,895. 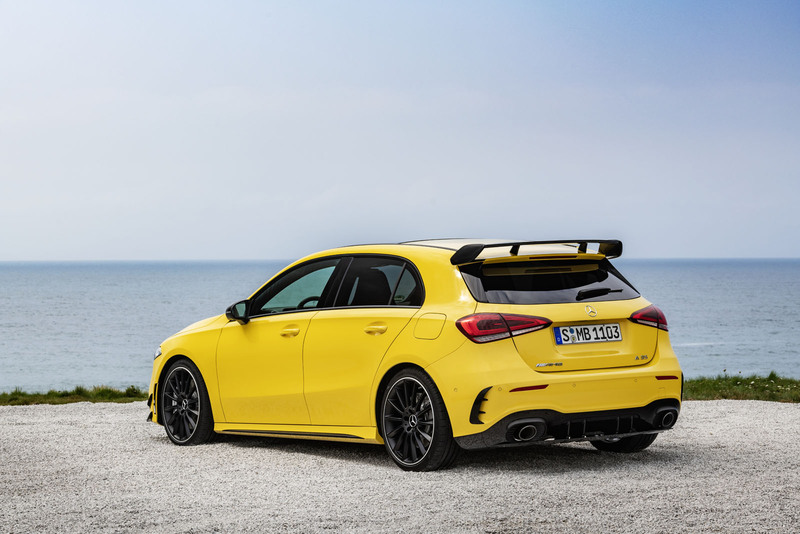 As the Mercedes-AMG A 35 sedan and hatch are not arriving in Canada for another year, we’ll have to wait many more months before we get official pricing confirmation. 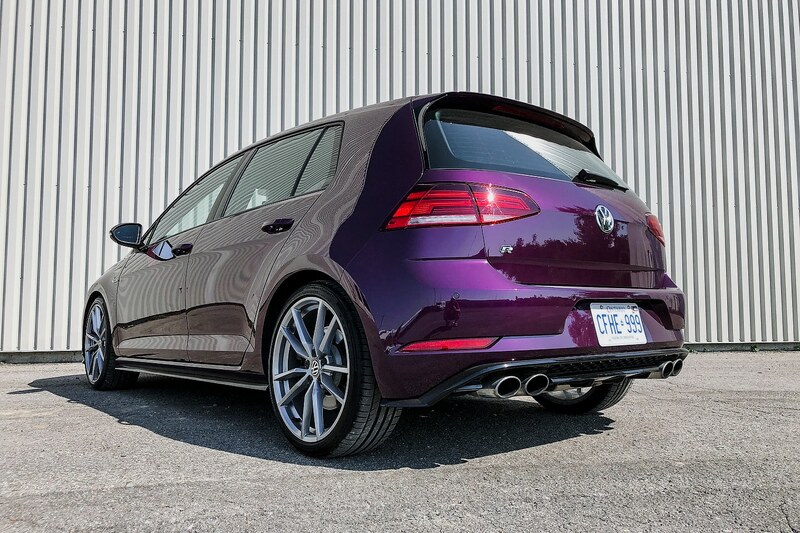 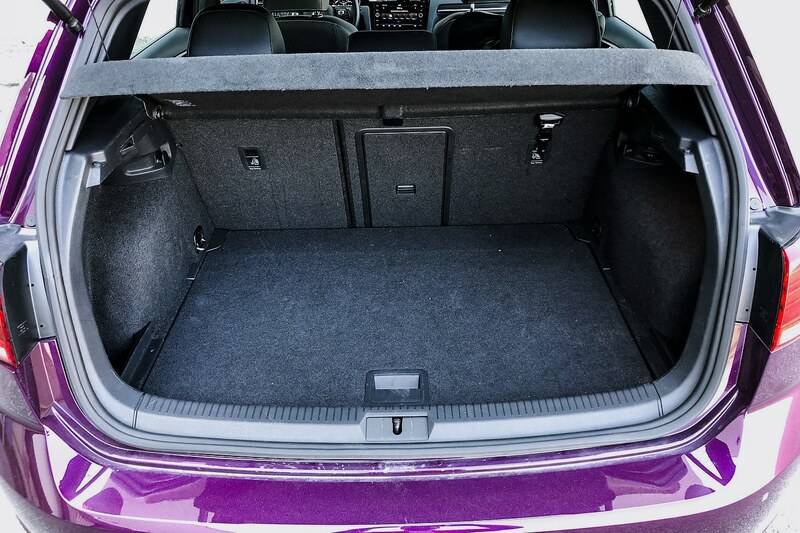 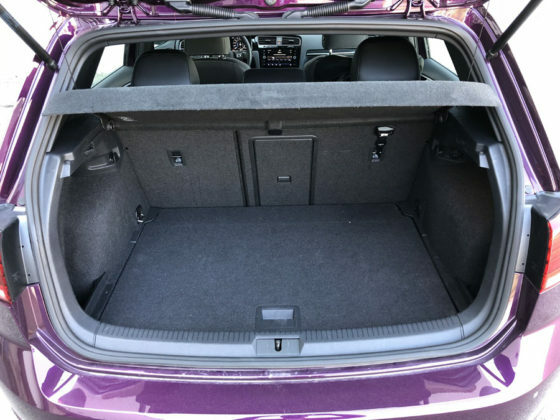 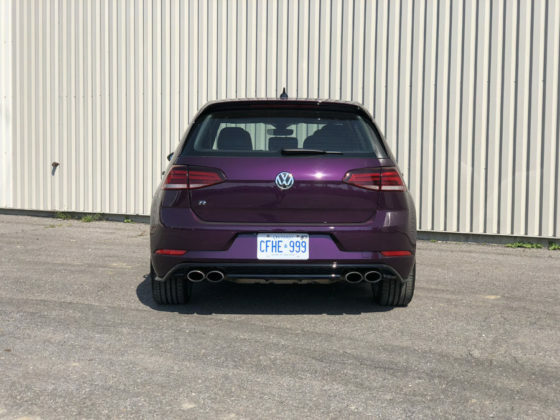 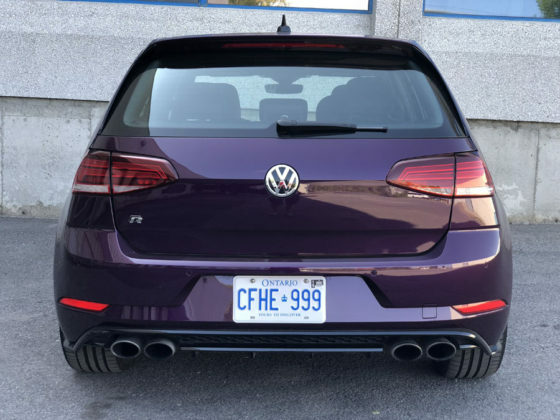 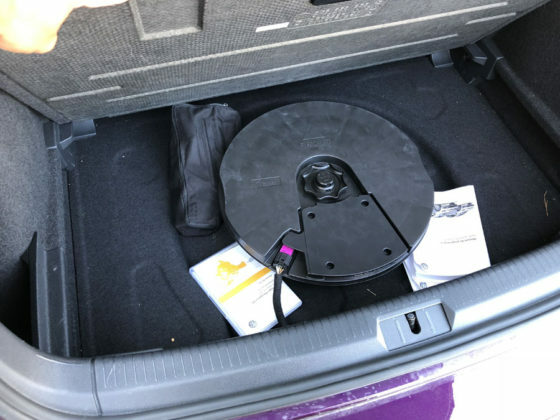 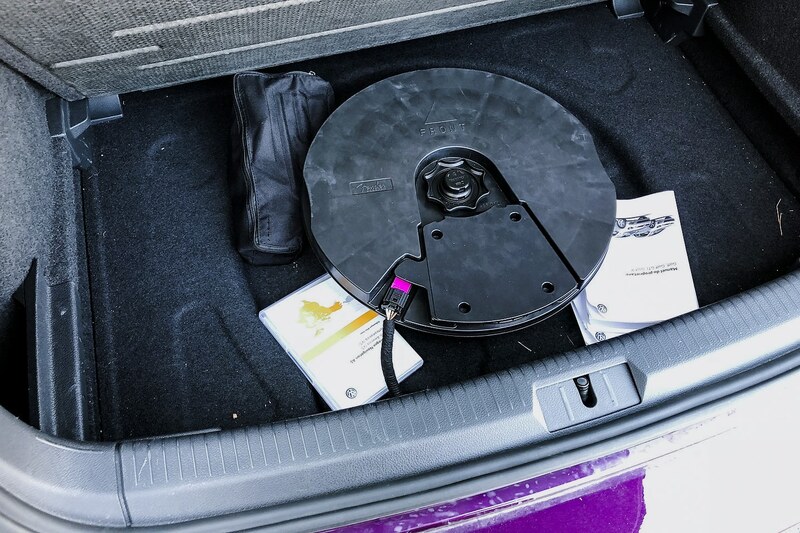 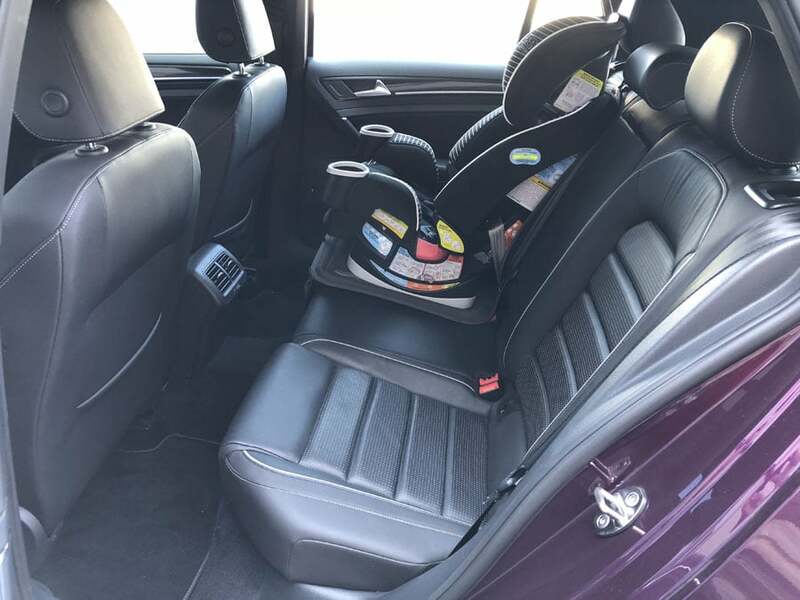 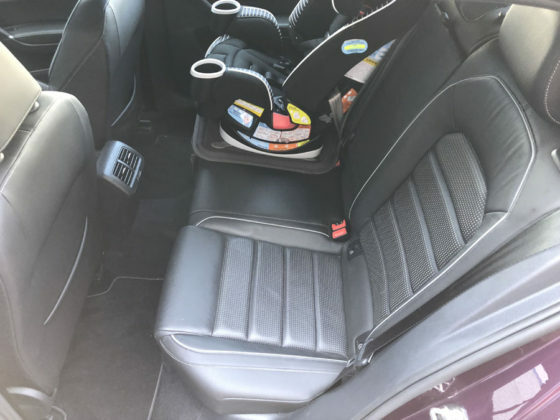 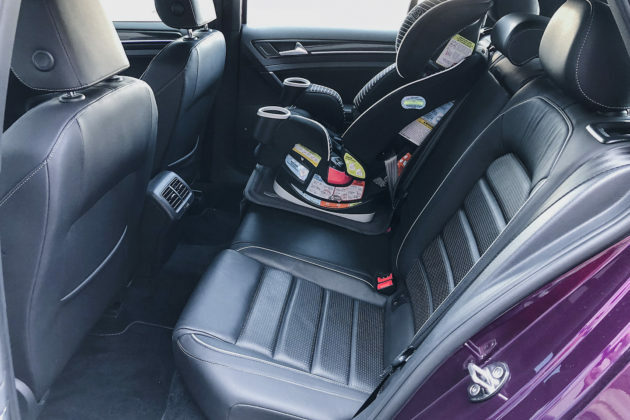 For this portion, we’ll compare the A 250 hatchback’s boot volume to that of the Golf R. According to Mercedes-Benz Canada, the A Class hatchback provides 370 litres of useable volume. Volkswagen figures the Golf R is good for 645 litres. 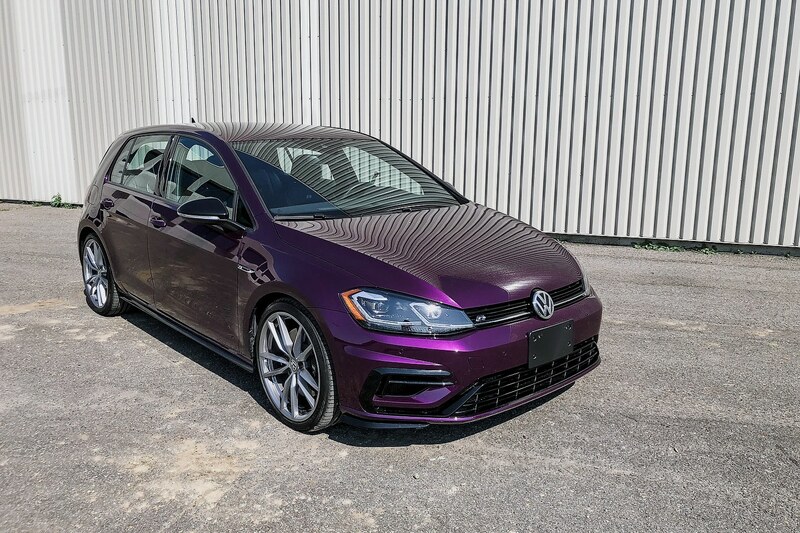 We don’t have much of a hard time believing Mercedes-Benz however we think the Golf specs are slightly off, if only mildly exaggerated. As far as the passenger compartments go, we can’t seem to find anything for the A Class. 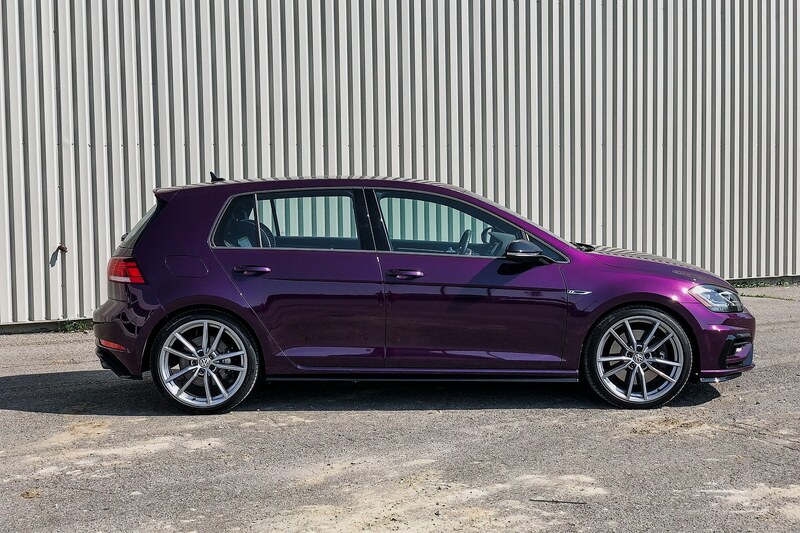 The Golf R rings in at 2,648 litres which we think is probably 250 or 300 litres more than an A Class hatchback. 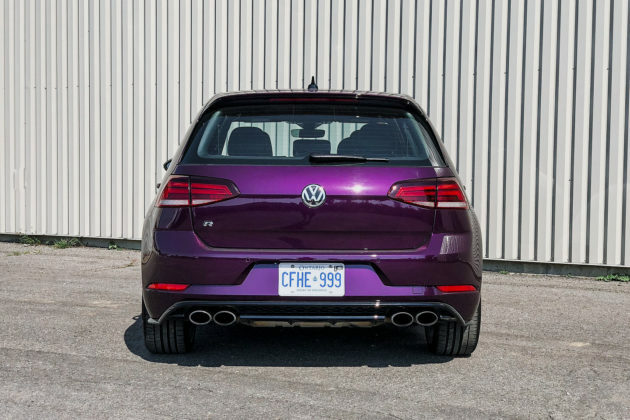 Both of these hot compact cars are powered by a turbocharged 2.0-litre 4-cylinder engine. 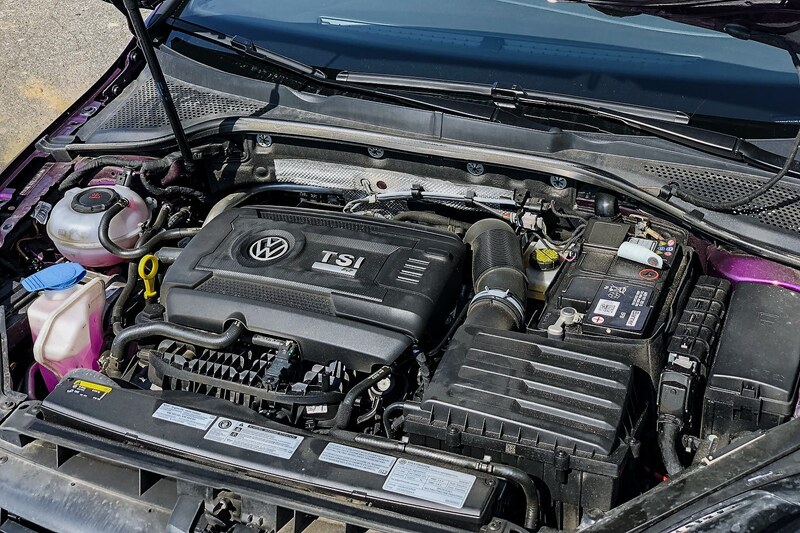 Technologies used to develop power and efficiency are similar in many respects. 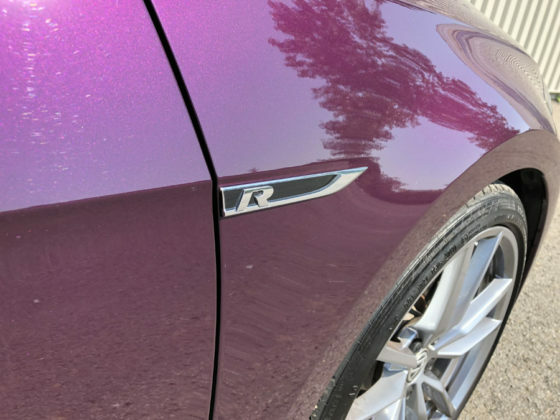 The results in the Mercedes are 302-horsepower from 5,800 to 6,100 rpm and 295 lb.-ft. of torque between 3,000 and 4,000 rpm. The Golf R’s number are 288-horsepower at 5,500 rpm and a torque maximum of 280 lb.-ft. between 1,8000 and 5,500 rpm. 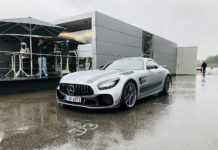 With the Mercedes, only an AMG SPEEDSHIFT DCT 7G dual-clutch transmission is offered. 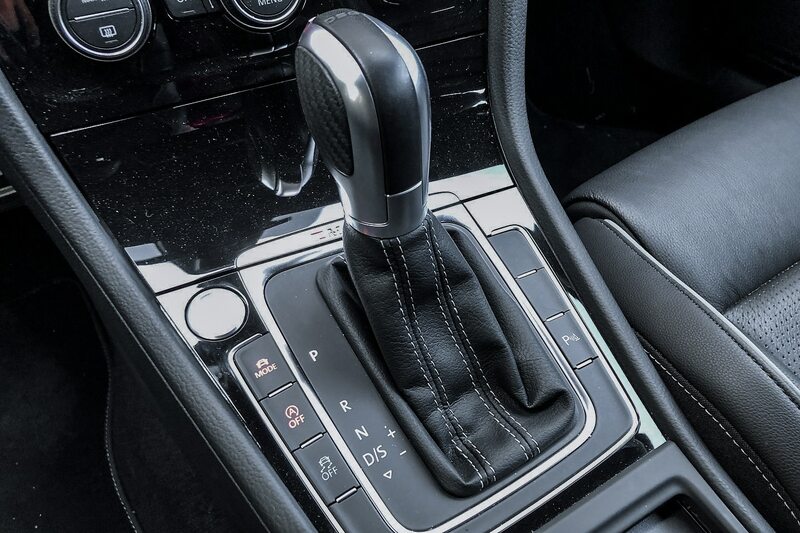 True driving enthusiasts continue to be pleased and well served by the R’s standard 6-speed manual gearbox. A DSG 7-speed dual-clutch transmission is an option. Standard for both cars is AWD. 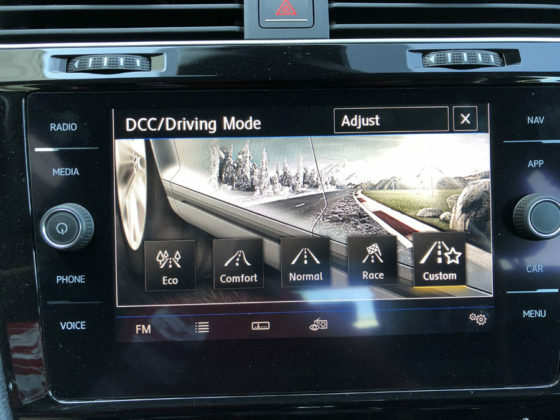 Mercedes-Benz refers to their system as 4MATIC while Volkswagen prefers 4MOTION. 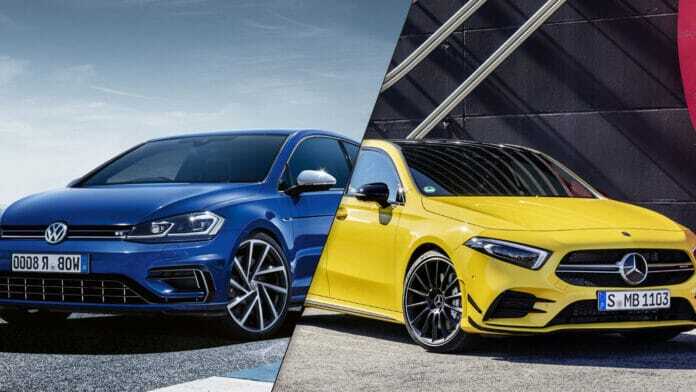 Like their names, they function is very similar ways. 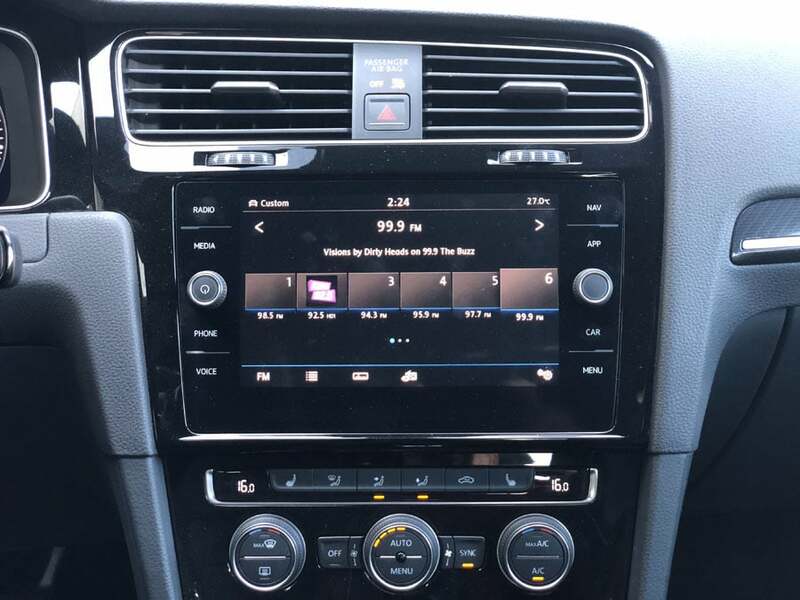 Both systems are on-demand type. This means that under light loads or when coasting, only the front wheels are driven with the rear axle decoupled. 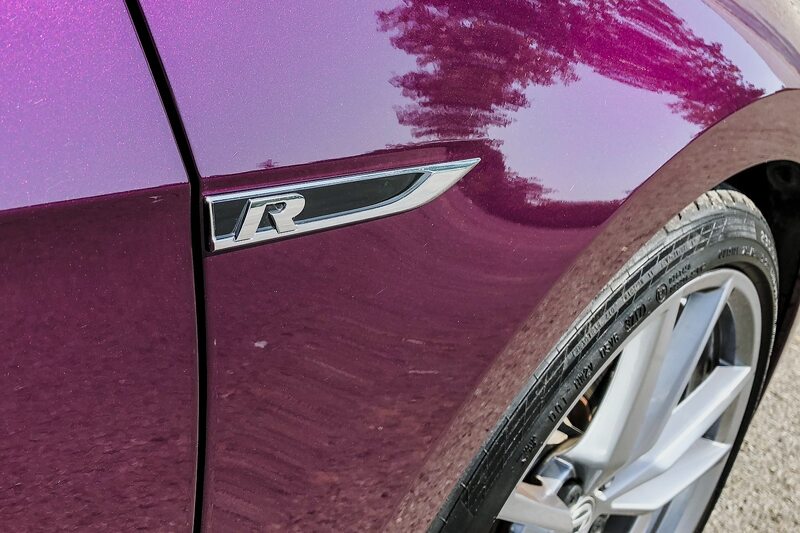 When the Mercedes-AMG notices slippage upfront, signals are sent to a multi-disc clutch pack to activate the rear. 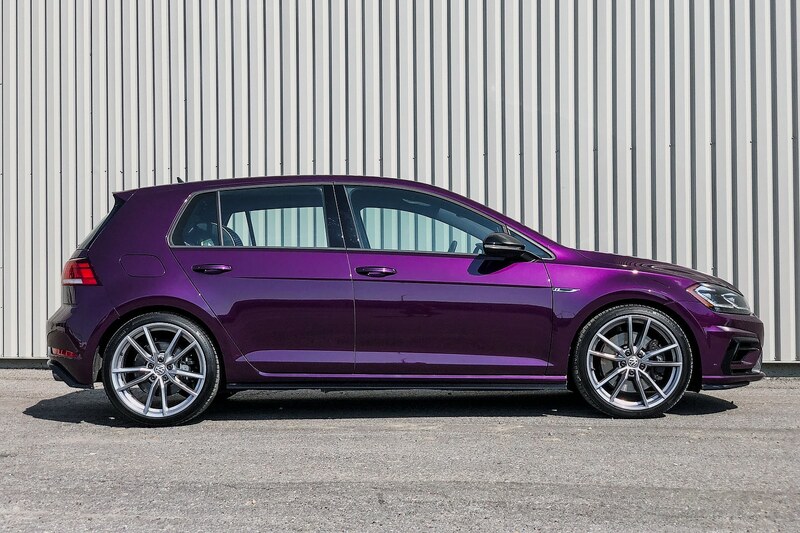 In the Golf R, the rear wheels are activated by an electro-hydraulic oil pump via the center differential. 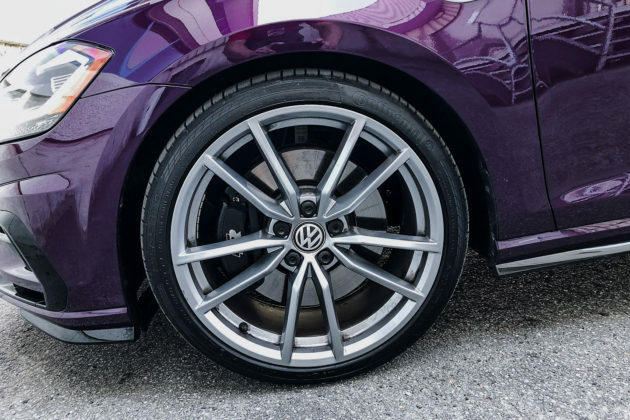 For both, up to 50% of the power can be directed to the rear axle of which all or part can head to one single wheel. 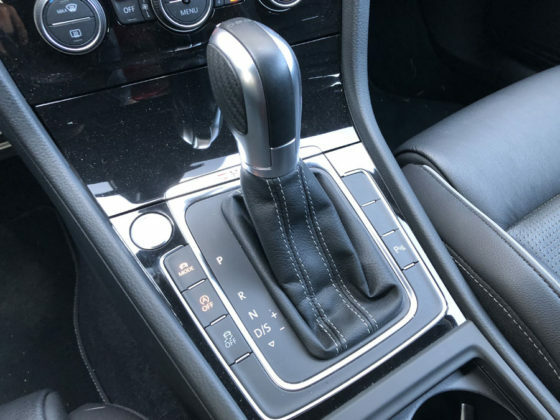 Both cars include various drive modes that manipulate throttle, transmission, handling and the AWD systems. 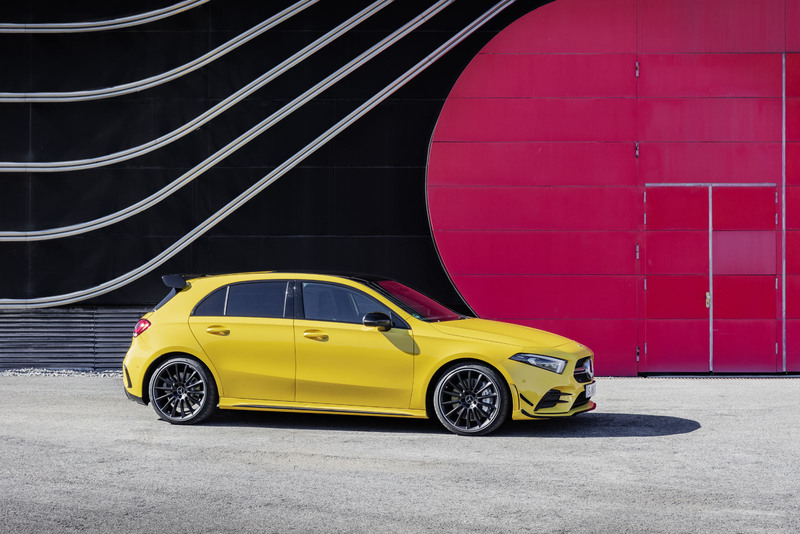 Bottom line, the Mercedes-AMG A 35 sedan will reach 100 km/h from a standstill in 4.8 seconds. 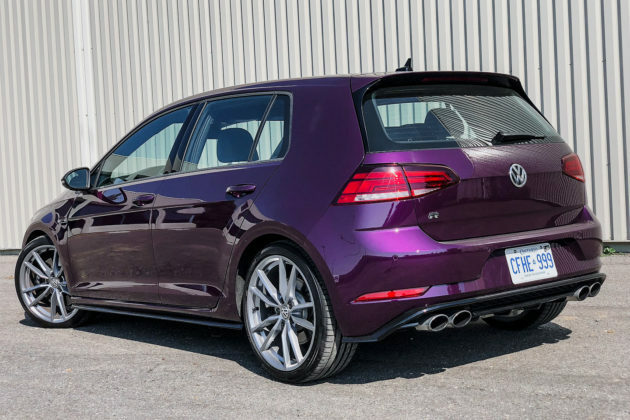 The hatchback will do same in 4.7 seconds. 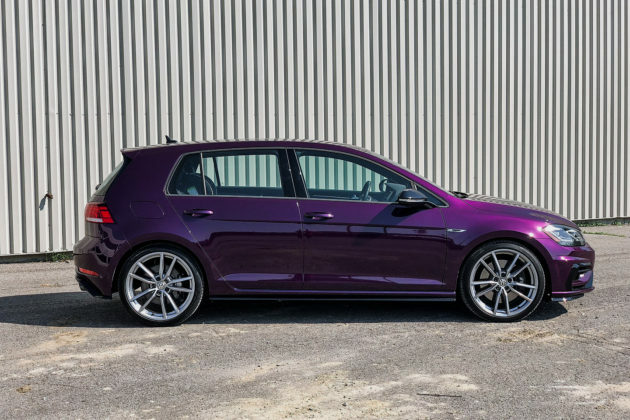 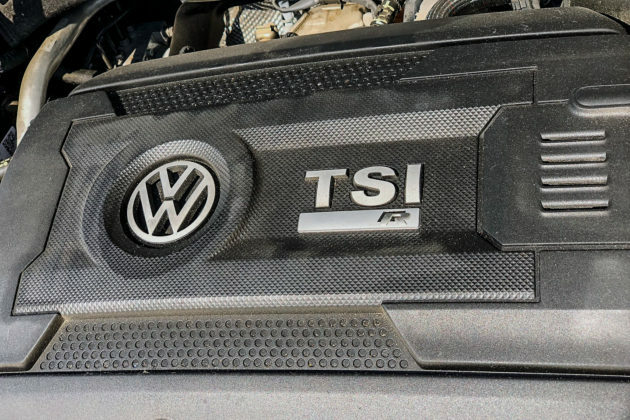 Although the Golf seems down on power, with the DSG, it will reach the ton in milliseconds under 5 seconds. 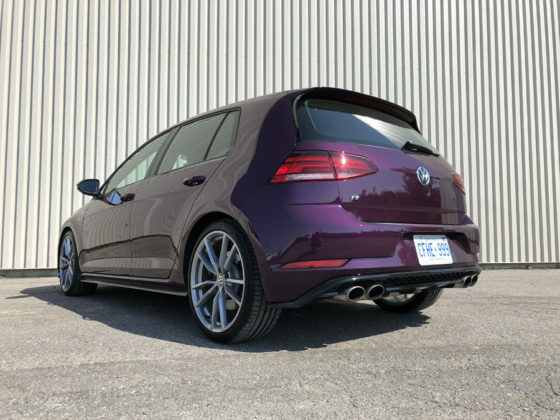 These cars are fast. 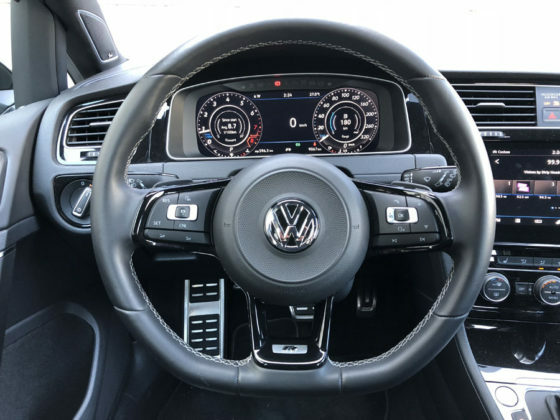 As these cars sit at the top of both product lines, they are loaded with all the features, or nearly. 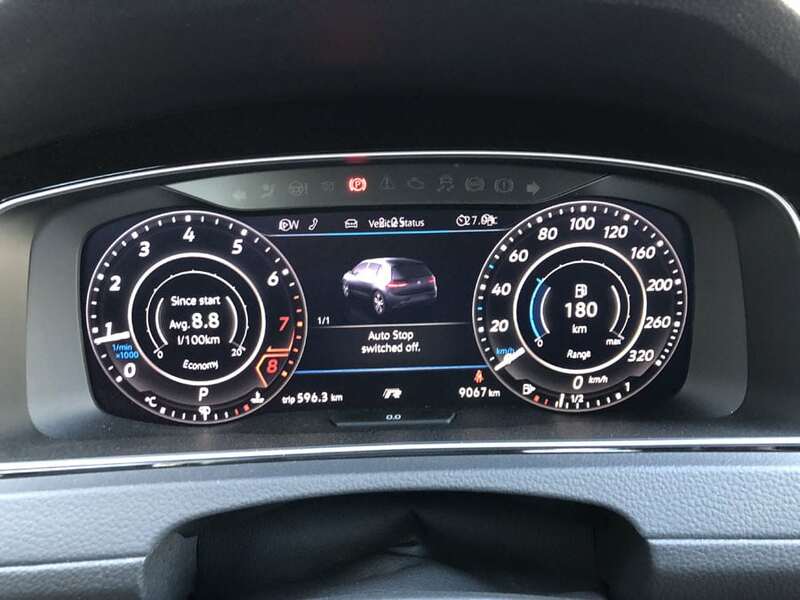 The Mercedes-AMG A 35 gets MBUX as standard with the widescreen cockpit that includes the dual 10.25-inch instrument cluster and touchscreen multimedia displays. There are numerous combined functions including Benz’ intelligent voice-operated control, prompted by the phrase: “Hey Mercedes”. VW throws in the superb Volkswagen Digital Cockpit which is a high-resolution 12.3-inch colour screen. 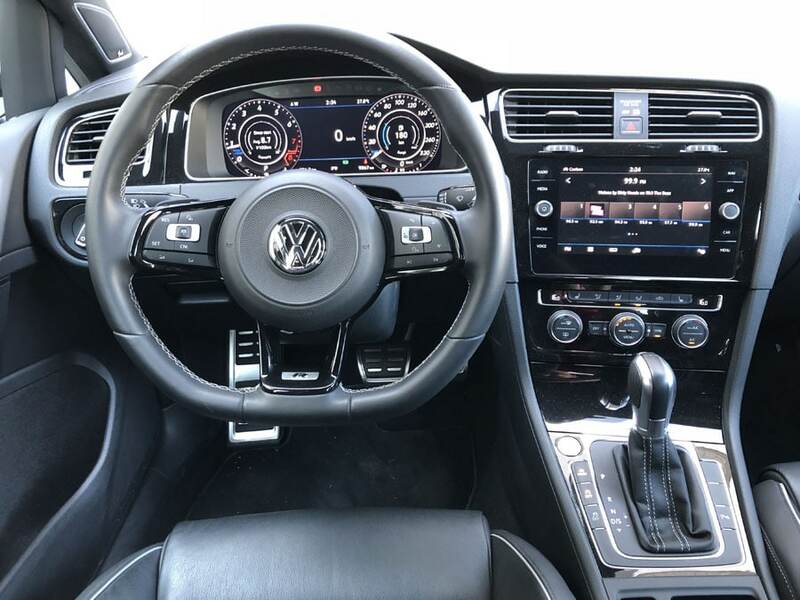 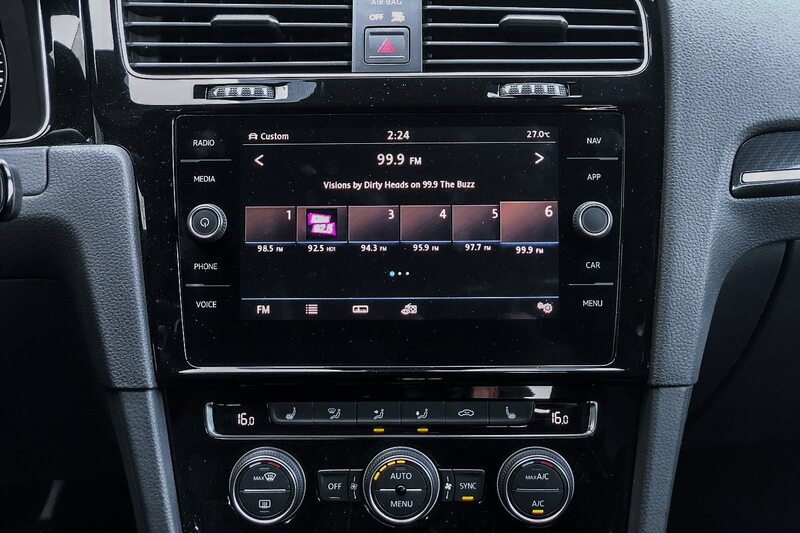 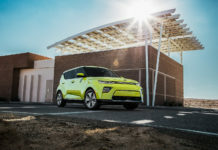 It is matched with an 8-inch touchscreen display. 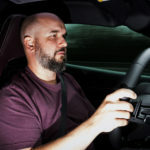 As Mercedes-Benz Canada has yet to share the list of included features, we can safely assume that it will receive Apple CarPlay and Android Auto, Wi-Fi tethering, Bluetooth, navigation, a nice audio system, sporty multi-way adjustable seats and loads more. 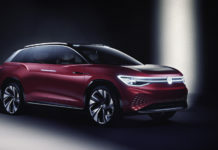 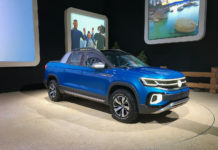 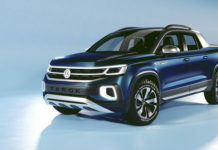 How can Volkswagen hope to compete with the three-pointed star? 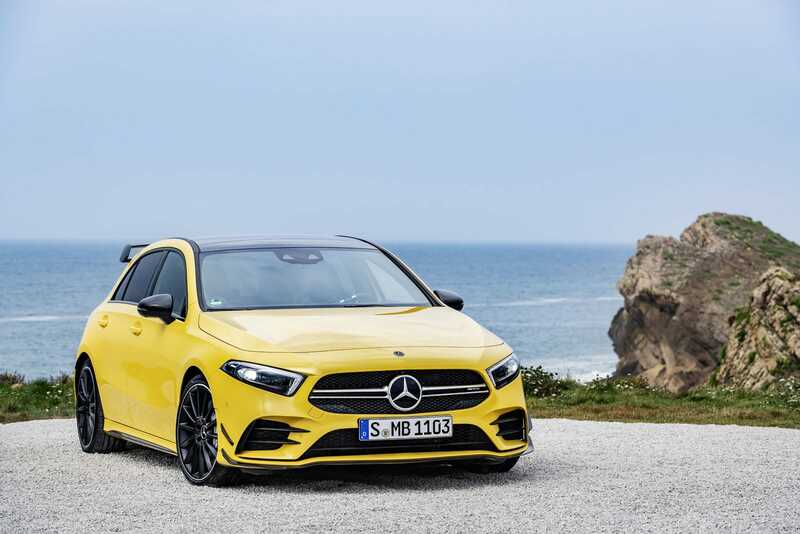 For scarcely more money, next to nothing on a lease, the Mercedes-AMG A 35 will be a brilliant mix of sophistication and look-at-me styling. It’ll be quick, handle impressively well and, once more, it’s a Mercedes-Benz.